Eastbourne is the final preparations for Wimbledon with players hoping to make a run and gain some form for the third Grand Slam of the year. With Wimbledon just over a week from the beginning, The Nature Valley Championships in Eastbourne hosts a stellar lineup with players attempting to gain form for the biggest Grand Slam tournament of the calendar year. Argentinian Diego Schwartzman comes in as the number one seed. 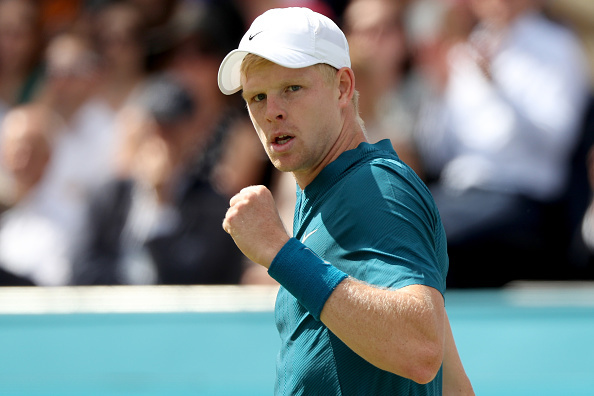 Rising stars Kyle Edmund and Denis Shapovalov occupy the second and third seeds respectively whilst Roland Garros semifinalist Marco Cecchinato is the fourth seed in Eastbourne. Headlining not only this quarter but the tournament, Diego Schwartzman is the top seed this week. Having had a stellar clay court season where he took Rafael Nadal to four sets at Roland Garros, he will need to rapidly improve on his weakened surface where he has a win/loss record of 0-6. He faces either Lukas Lacko or a qualifier and will need to step up to avoid an early loss. The first of four Americans in this field is Ryan Harrison who lost in the first round at Queens last week. He opens up against a qualifier and faces the winner of rising British star Cameron Norrie or the eighth-seeded Marton Fucsovics. The 26-year-old Hungarian has had a successful year thus far having won a maiden title in Geneva back in May. He struggles on this surface and will need to perform to get past the tricky left-hander Norrie, who will hope to be on his A-game with a packed home crowd behind him. With this section being relatively wide open, don't be surprised to see the young Brit make his way, and for the second quarterfinalist to also be a shock. With the first quarter being relatively open, this second section is tougher to call as many players favor the grass courts. One player who tends to struggle on this surface is the fourth seed Marco Cecchinato. Having made it all the way to the semifinals at the French, he has the task of facing the winner or Andreas Seppi and Denis Istomin. 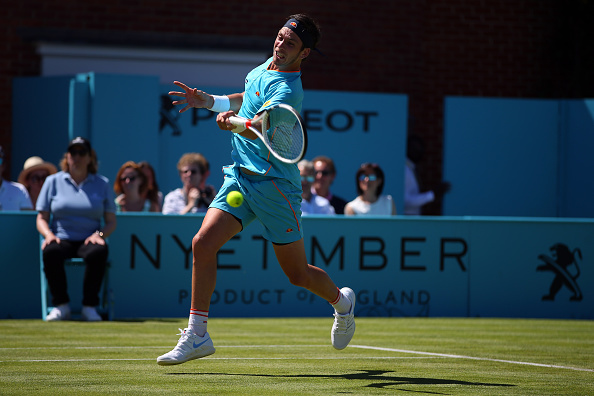 The Uzbek will hope to add a second Grass court title following his Nottingham Open win in 2015 and though Seppi doesn't necessarily enjoy this surface, he does perform well having won a title here in Eastbourne and been runner-up in Halle in 2015. 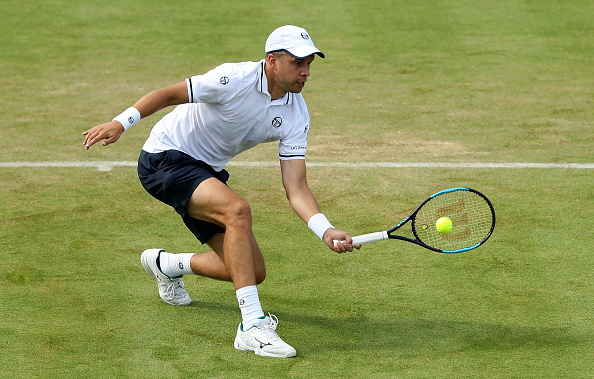 Gilles Muller will be the player to watch in this tournament as his game most suits this surface. He will hope to replicate his 2017 Wimbledon quarterfinal run and his journey begins against John Millman, where he is the heavy favorite. The winner faces Gilles Simon or fifth seed Leonardo Mayer. Simon has happy memories here having made the final in 2011 where he lost to Feliciano Lopez. Muller and Istomin may be the favorites to progress but don't count out Simon or Seppi who are the slight underdogs. Another packed section sees third seed Denis Shapovalov headline this third quarter with seventh-seeded American Steve Johnson at the top of this section. 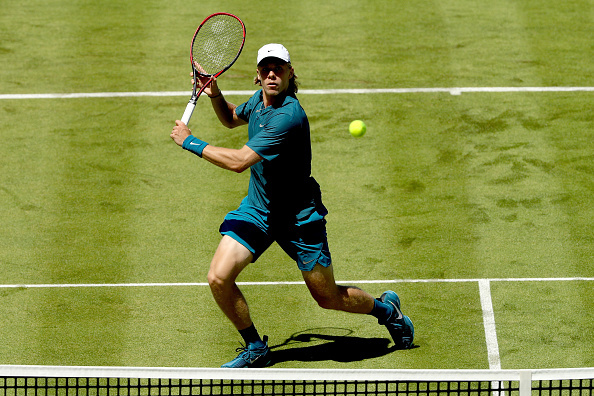 The American has been given a tough opener this week as he faces Russian Daniil Medvedev, who excels on this surface as he dumped out Stan Wawrinka on Centre Court at Wimbledon last year. He'll need to be sharp right from the off. The winner faces either Chilean Nicolas Jarry or Mischa Zverev. The serve and volley tactics of the Germans work particularly well on this surface whilst Jarry has yet to master the grass, which makes Zverev the heavy favorite. An American is guaranteed in the second round as two rising stars Jared Donaldson and Taylor Fritz go head-to-head. Despite only being 20, Fritz has yet to fulfill his promising talents and has the weapons to do damage, especially on this surface. His countryman Donaldson made the third round at Wimbledon last year and will be hoping to replicate that by making a run here. With this section being too tight to call, it is anyone's game and anyone could make the quarterfinals, so keep an eye out on this section of the draw. Second seed Kyle Edmund headlines this quarter and has been given a bye as a result. At the top of this final section is the eighth-seeded Spaniard David Ferrer, who has been on a slow decline the past few years. He opens up against a qualifier and could face either Mikhail Kukushkin or another qualifier. At the bottom of this final section is two wildcards, who have amassed six Grand Slam titles in total. Stan Wawrinka has been drawn against Andy Murray in one of the matches of the whole tournament. Murray made his long-awaited comeback last week at the Queen's Club against Nick Kyrgios where he lost in three-sets over two-hours. Murray decided to enter this tournament as he hopes to regain match fitness and form. The Swiss also struggled with injury but came back at the Italian Open. He has struggled to gain any form since his comeback and fell out of the worlds top 200 following his loss to Guillermo Garcia-Lopez at the French. The winner of Murray and Wawrinka face the inform Edmund. The young Brit is hoping to succeed Murray and has been doing a great job with a semifinal showing at the Australian Open and cementing his place in the top 20. Expect him to make the quarterfinals along with Ferrer.